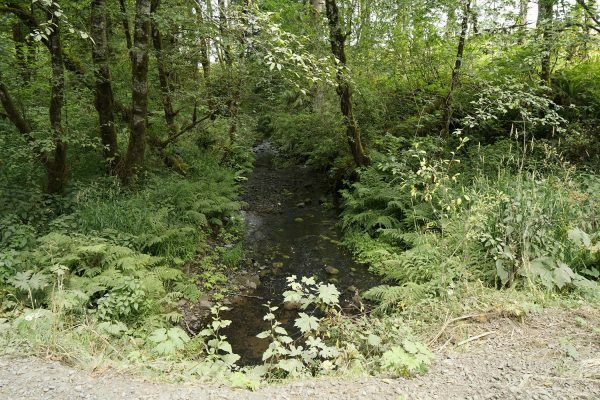 Scappoose Bay Watershed – Working toward healthy communities and creeks from headwaters to the bay. native trees, shrubs, wildflowers, ferns and sedges. Duck Lake wildlife has returned. 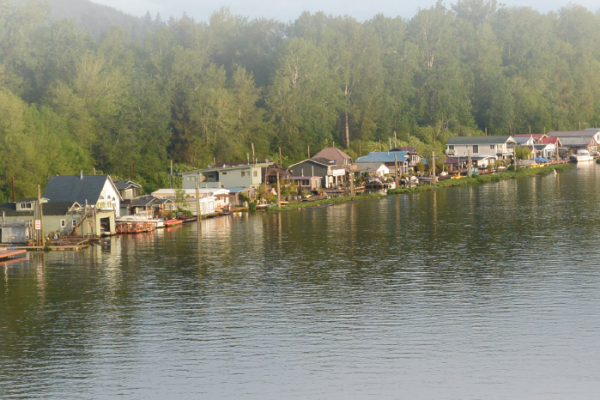 Scappoose Bay is part of the widest flood plain reach of the upper Columbia River estuary. This area is composed of multiple islands, sloughs, tide channels, wetlands and seasonal ponds, as well as terraces and rocky outcroppings. 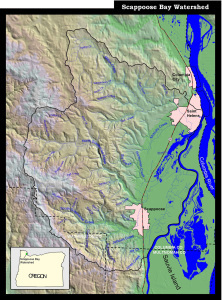 Milton, and North and South Scappoose Creeks are major tributaries to Scappoose Bay, which flows into Multnomah Channel just upstream of its confluence with the mainstem of the Columbia River. 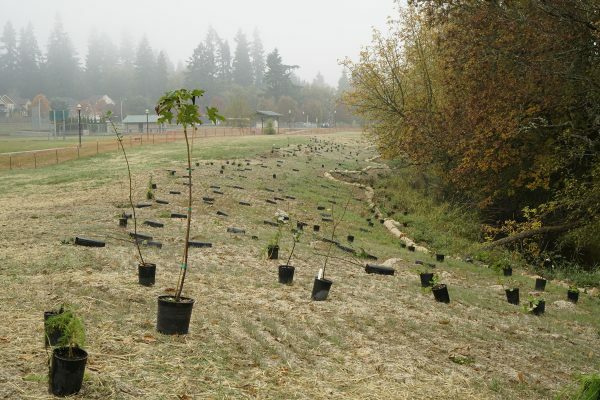 The watershed is home to Oregon ash and black cottonwood forests, along with wetlands composed of wapato and bulrush. 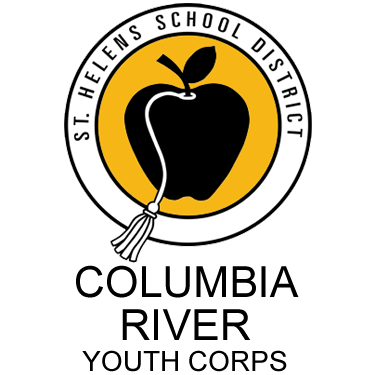 However, the construction of levees, roads and drainage ditches, along with floodplain filling, has disconnected many of the side channels from the river. Hydrologically, this reach of the Columbia is tidally influenced, but is also significantly backwatered by the Columbia River freshets in the spring and early summer. A majority of the Columbia Basin’s anadromous salmon populations pass through this area during their migration to and from the Pacific Ocean. Coho, Chinook, steelhead, and cutthroat trout can be found in Multnomah Channel and the Bay’s major tributaries. Although there has been a significant decline in their numbers from historic populations, recent and ongoing efforts are improving access to restored habitats. As one of the most important stopovers of the Pacific Flyway, the area also supports numerous populations of waterfowl, migrating shorebirds, and neotropical songbirds, as well as raptors. 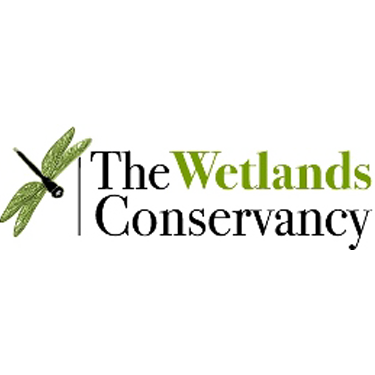 The waterway channels and riparian areas also provide habitat for a variety of amphibians and reptiles, including red-legged frogs and northwestern salamanders. 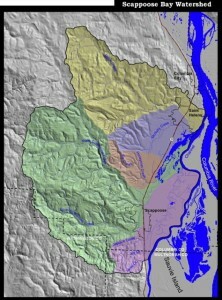 Milton, and North and South Scappoose Creeks are the major subwatersheds draining into Scappoose Bay. 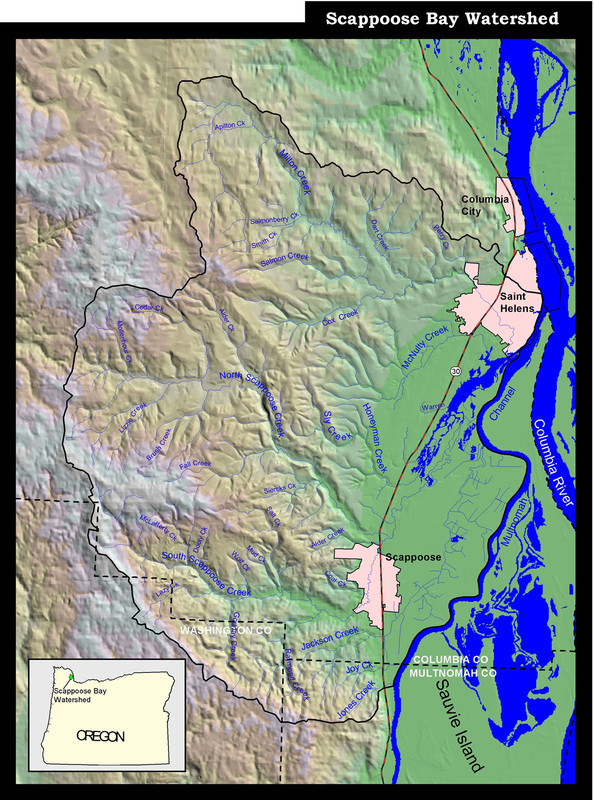 McNulty Creek and Honeyman Creek are smaller drainages that also contribute to Scappoose Bay, and Jackson Creek flows through the Scappoose Bay Bottomlands into the Multnomah Channel above the Bay. The upper watersheds are dominated by high gradient, confined, and small streams, and are generally forested. The mainstem reaches of the major streams generally flow through low-gradient valleys and are unconfined, with the exception of stretches of larger tributaries confined within ravines, usually in the upper reaches. Much of the adjoining acres of these streams are in agriculture use and have lost much of the important riparian vegetation. 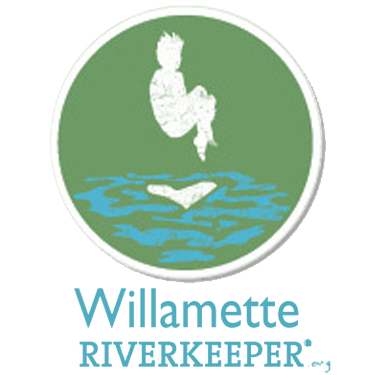 The lower portions of the subwatersheds are classified as lowland floodplain and were historically heavily influenced by annual flooding along the Columbia River. 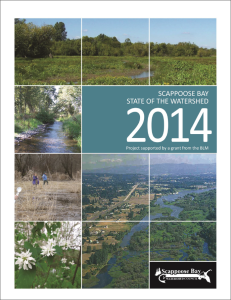 A State of the Watershed report was completed in Fall 2014, and provides significant detail on the history and current condition of the Scappoose Bay Watershed, as well as the SBW Council’s ongoing efforts to restore and protect the area. 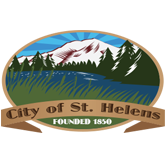 The report follows from the Scappoose Bay Watershed Assessment (SBWA), published in 2000. It describes many of the past 14 years’ of restoration and data collection efforts, and reviews what has been done with respect to the 2000 SBWA. The new report can be used as a reference to understand current watershed conditions and is a foundation for supporting the SBW Council in developing new priorities and establishing appropriate directions for project development.